Practical and user-friendly, this is the ideal guide to the diagnosis and treatment of psoriasis, helping you navigate a logical management pathway through a complex maze of possibilities. Psoriasis is a cruel disease that can seriously affect the sufferer s quality and length of life. It is also highly idiosyncratic, with features that vary greatly from patient to patient; this being mirrored in the highly variable response to treatment. It is increasingly recognized that psoriasis is not a discrete disease and that many patients suffer two or three comorbid conditions that can complicate the efforts of doctors treating patients. 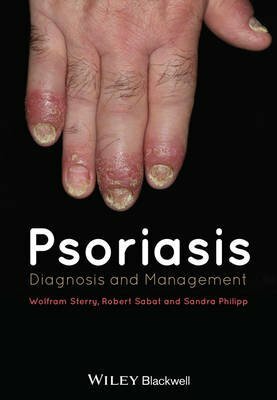 Psoriasis: Diagnosis and Management will provide dermatologists of all levels with a practical, well-illustrated approach to fully understanding the disease, including clear, clinical guidance to enable best-practice and effective management of patients. In full color throughout and excellently illustrated, key highlights include: * easily understandable description of the psoriasis pathogenesis; * a strong emphasis on the clinical features of psoriasis; * careful consideration of comorbid conditions as part of the psoriatic spectrum to be managed; * coverage of both traditional and contemporary management approaches; * plenty of diagnostic algorithms and management protocols to aid the daily practical care of patients. Brought to you by several of the world s leading authorities on the subject, Psoriasis: Diagnosis and Management is an essential purchase for the dermatologist.